Worktop widths are from 600mm to 900mm for wall benches and from 700mm to 1800mm for peninsula and island benches, however any widths required can be catered for. 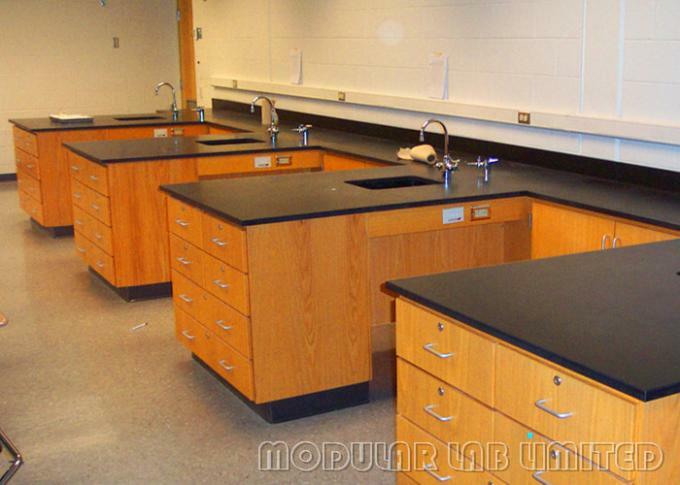 Worktops are standard 850mm high in laboratories, and 720/750mm high for write up benches, however other heights are also available. All the above can be mixed to suit the needs of each individual laboratory. Cabinet 15mm and 18mm thick high pressure semi-solid wood (MDF) covered with 0.4mm high pressure laminate(HPL) on both sides with 3mm PVC edging strips. In this design the worktop is supported by a steel framing system and the under-bench units are independent. 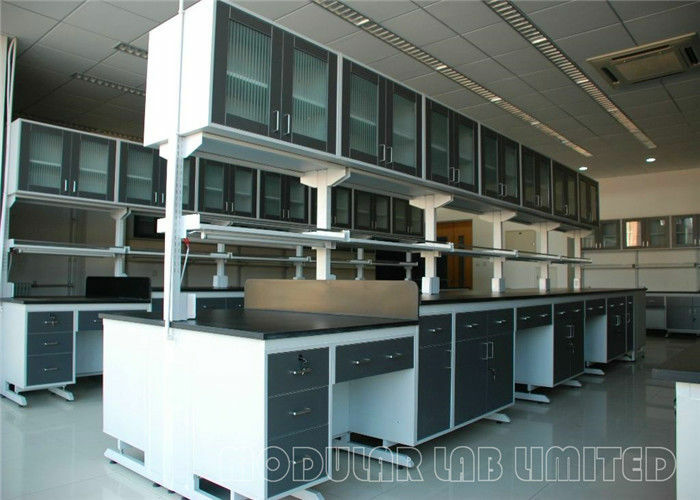 Cupboard and drawer units can be placed were required and easily repositioned at later date if the laboratory layout needs re- adjusting. Mobile units can also be used with the cantilever system to allow regular movement of units for lay-out changes or cleaning purposes.